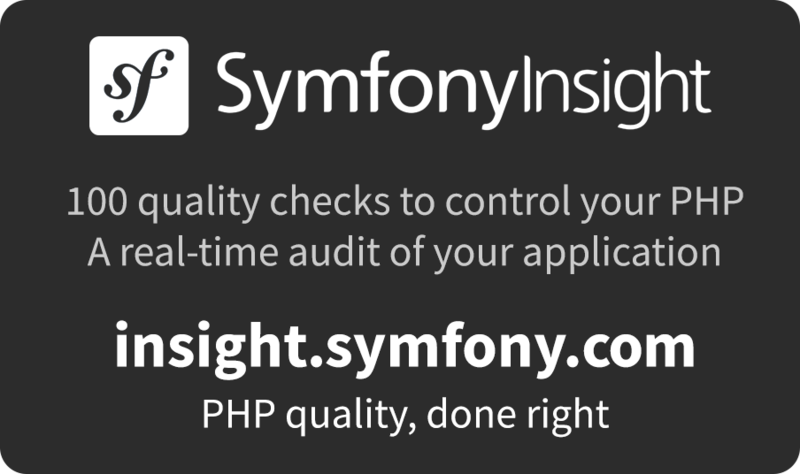 Symfony is an Open Source distributed PHP framework. Of course, when you know how to develop in PHP, you don't need a framework. However, it is very nice to have one! A framework helps you work better (structuring developments) and faster (reusing generic modules). A framework facilitates long-term maintenance and scalability by complying with standard development rules. Compliance with development standards also simplifies integrating and interfacing the application with the rest of the information system. 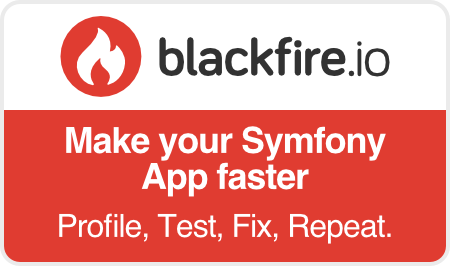 Symfony is an internationally recognized, stable development environment. Symfony is supported by SensioLabs, a company with over 13 years of web development experience, and by a vibrant international community, which ensure its longevity. An innovative and easy-to-use work environment thanks to integrating solutions created in other environments such as dependency injection (taken from Java) and specifically developed solutions such as the Web Debug Toolbar or the Web Profiler. Finally, by adopting *de facto* standards, Symfony does not confine you to its environment, but allows you to choose the software components that you want to use.